Mani Ratnam’s upcoming film Kadal is in the last stage of shooting. The film went on floors earlier this year and the ace director shot the film in some tough conditions including torrential rains and exotic locales in South Tamil Nadu and Andaman & Nicobar islands. Recently, the film’s climax was filmed near North Madras coast right when Cyclone Nilam was wrecking havoc in Tamil Nadu. The film stars Gautham Karthik and Thulasi in lead roles. In fact, Thulasi revealed that she has wrapped up shooting her part in the film and also added that it was a life changing experience. Arvind Swami and Lakshmi Manchu will be seen in important roles. The film has been on everyone’s lips for the past couple of days ever since A R Rahman unveiled a song Nenjukulle from the film on MTV. Vairamuthu has penned beautiful lyrics for the film and Rajeev Menon’s cinemtography is being touted as a major asset to the film. 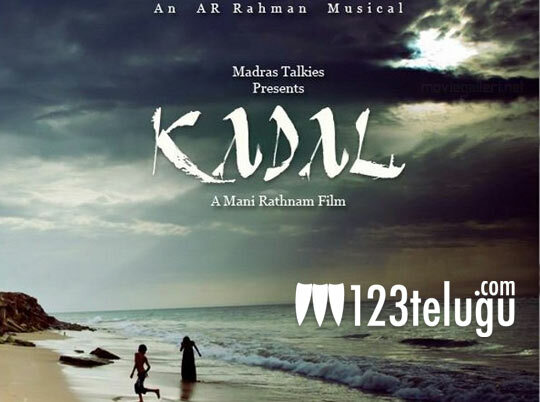 Kadal will also be dubbed in Telugu as Kadali and it’ll release shortly.